Google handed out a double treat for Halloween today. On the company’s official blog, Sundar Pichai, SVP of Android, Chrome and Apps posted news about KitKat and the Nexus 5 Android phone. 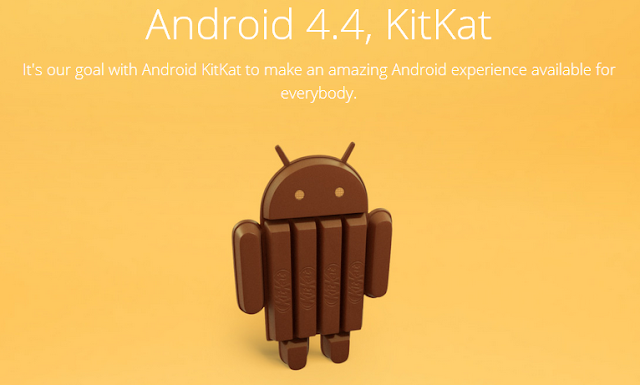 KitKat is set to be the next version of the Android platform; the name surfaced back in September. The new Android platform, version 4.4, promises to be more engaging, smarter, and more immersive than current versions. The engagement level is increased by focusing on the content – such as a book, game or movie – and hiding other icons and messages except what is most popular to the individual. That means fewer interruptions from Facebook updates, unless the user deems those updates to be more important than the movie playing on the screen. Google also integrated its Hangouts app to connect to SMS and MMS messages so all those messages are stored in one place. Google promises to reveal more details on KitKat on its website. While most versions of Google’s Android software are named after desserts, the names are generally more generic. Previous versions included Cupcake, Donut, Éclair, Froyo, Gingerbread, Honeycomb, Ice Cream Sandwich and Jelly Bean. Google is teaming up with Nestle on the KitKat version, and is running a sweepstakes with Nestle to give away a Nexus 7 or Google Play credit. The KitKat version of Android is slimmed down in order to allow it to run on lower-end Android devices. “We’ve slimmed down Android’s memory footprint by doing things like removing unnecessary background services and reducing the memory consumption of features that you use all the time,” Pichai wrote in the blog post. The slimming effect has made its way across all Google services, not just Android. The same changes will also enhance services like Chrome and YouTube. The slimming down of Android and other Google services allows phones to run better on less memory. Pichai said an Android phone can run comfortably on the 512MB of RAM that most devices typically include. Google also announced the release of the much anticipated Nexus 5 phone in the same blog post. The new handset comes from a partnership with LG. The handset will run KitKat and will be available immediately in the US, Canada, the UK, Australia, France, Germany, Spain, Italy, Japan and Korea. The 16GB version of the phone will sell for $349, and will be carried by most major retailers, including Sprint, T-Mobile, Amazon, Best Buy and RadioShack. 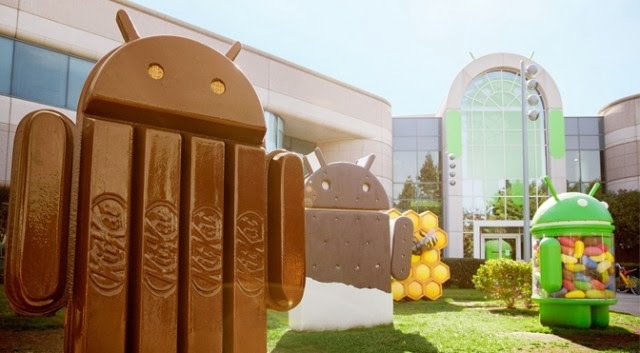 KitKat, or Android 4.4, will become available for the Nexus 4, 7, 10, and the Samsung Galaxy S4 and HTC One Google Play edition devices in the next few weeks.